Have you finally booked that visit to the beautiful island of Santorini in Greece? I found planning this trip more difficult than usual, despite how tiny the island is. 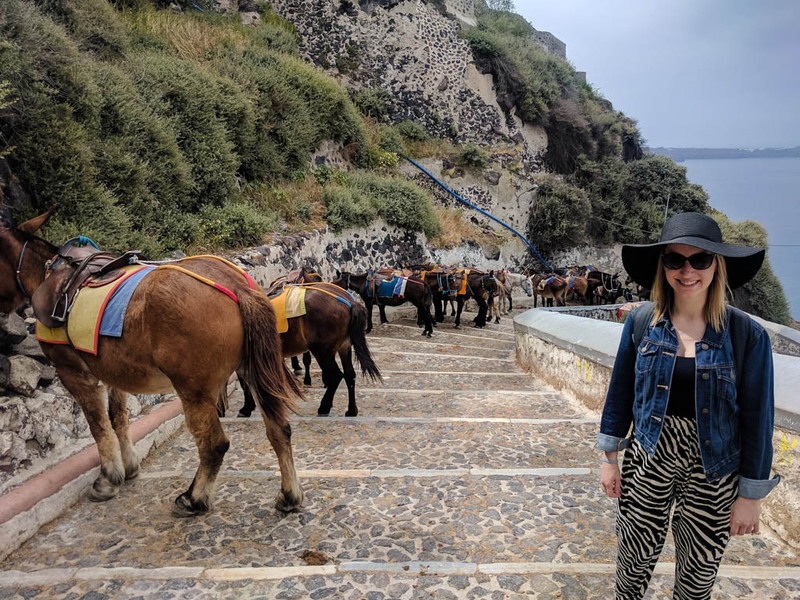 Here are my tips on kickstarting your planning, where to stay, what to do, and all there is to see in Santorini! Arriving: You can get to the island by boat or by plane. Most people (myself included) think the ideal way is to take a ferry from Athens. Be warned! The high speed boat takes around 5 hours, and the regular takes 8 hours. We flew Ryanair from Athens to Santorini on a flight that took 40 minutes. Take a look at ferry options on krilo.hr. Where to stay: Fira is the capital, and is only a 15 minute drive from the airport and 20 minutes to the port. 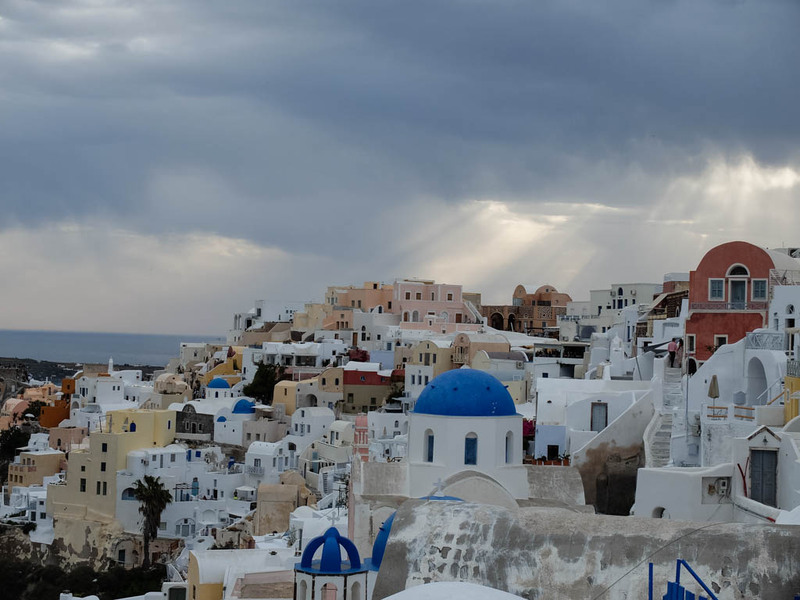 Oia, located at the top of the island, is the Santorini you see in the photos. We stayed in Fira and arrived late, and our accommodation organised a taxi for 20 euro. Getting around: Santorini has set up a great bus system that runs right across the island. Buses cost around €1.80-€2.40 and originate in Fira. Tickets are purchased on the bus. Make sure you mention where you’re stopping, the bus driver will pull over and call out the stops. 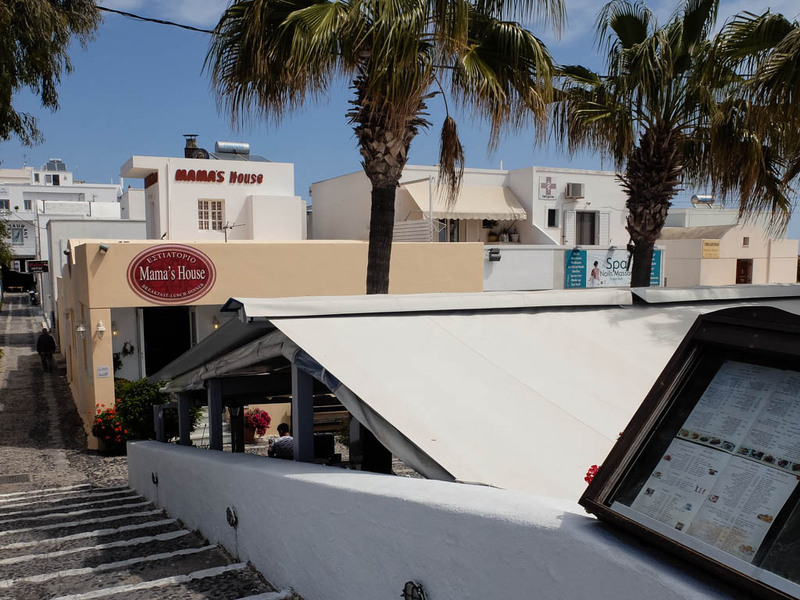 Breakfast: You can get great breakfast at a place called Mama’s House in Fira. It’s not expensive, and they’ve got great specials. It’s a perfect start to the day. Lunch: Grab a quick gyro for lunch on the go. They’re the best snack! 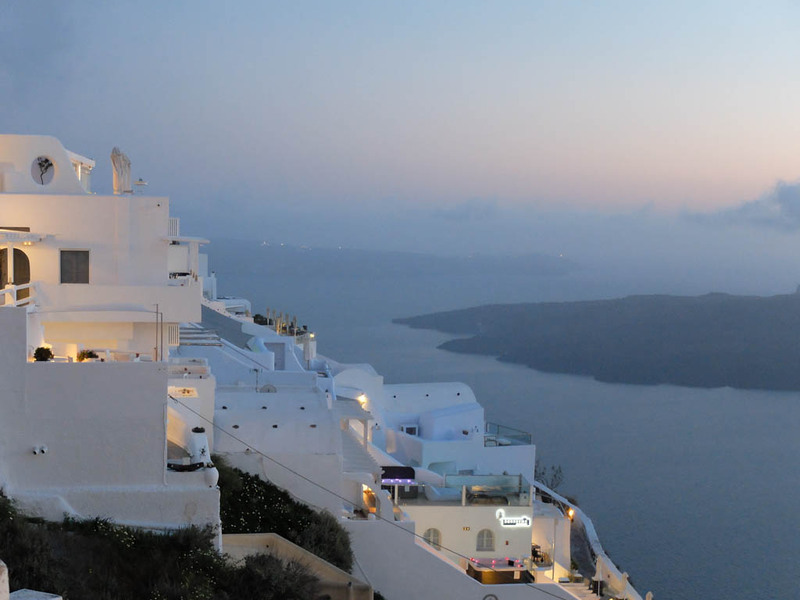 Dinner: Dine with a view at Lotza in Oia. 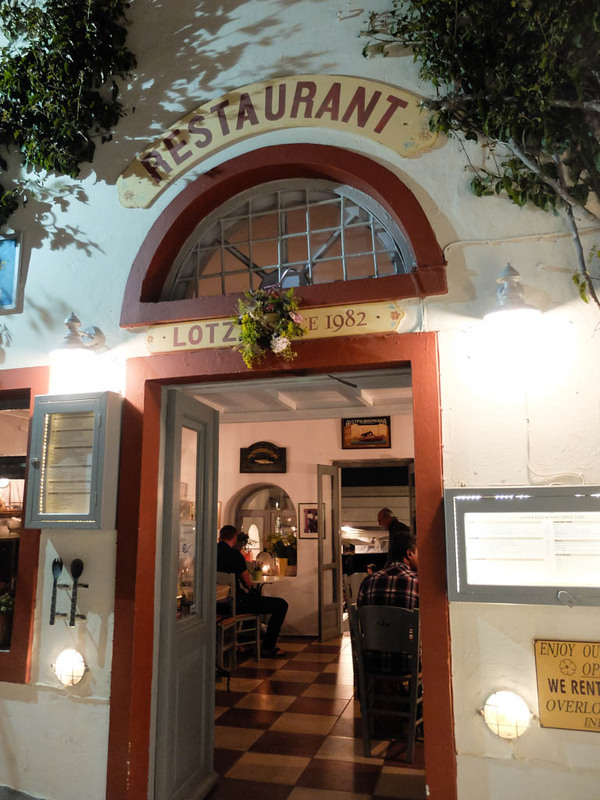 This family run restaurant is nestled into the main street in Oia, and has a perfect view of the sea. You won’t see the sunset from this angle, but watching the sky change colour is just as beautiful. 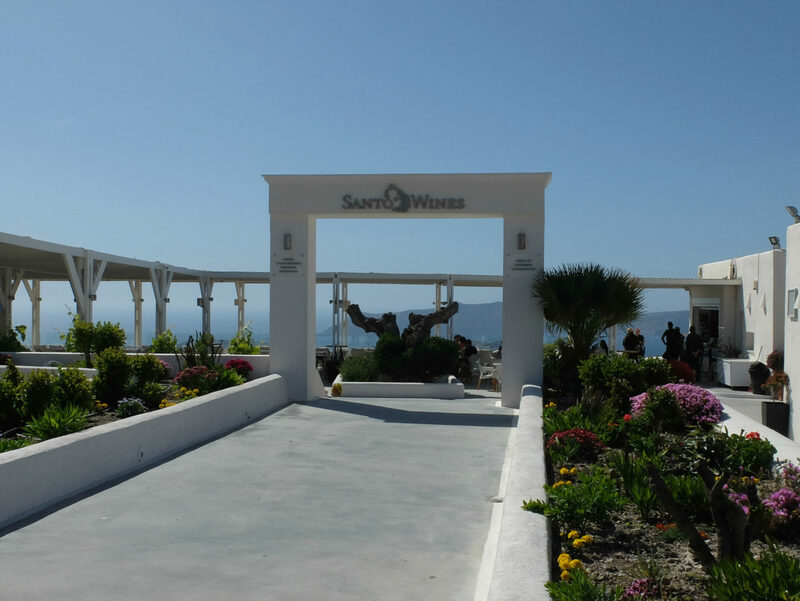 Santo Wines: I didn’t know Santorini had wineries! We were tipped off about Santo Wines, which is actually a cooperation that gathers grapes from many farmers around the island. We had a lovely tour of the facilities and sat down to a 12 flight wine tasting with cheese, olives, and a view. It’s a wonderful way to spend an afternoon. 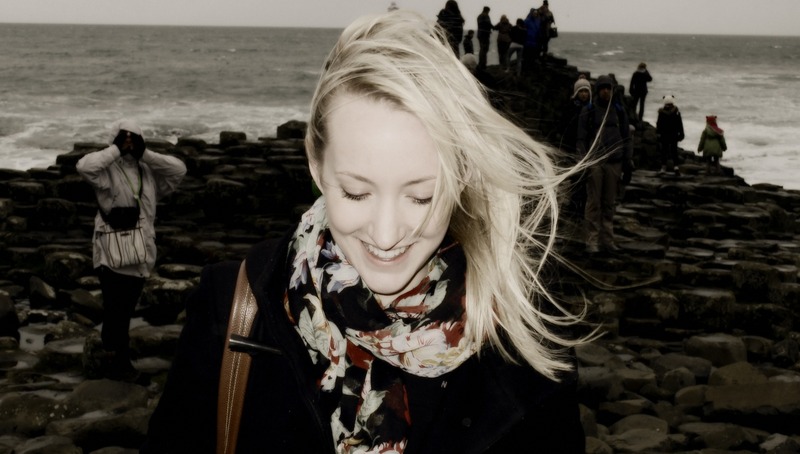 Two Brothers Bar: Looking for a night out? Two Brothers Bar in Fira came up again and again. It’s a small bar with popular music and lots of people. It’s good for the atmosphere, but my small vodka soda was €9! The Donkeys: Take a walk down to the Old Port in Fira where most tour boats depart. You’ll see the famous donkeys along that (very long) walk down. You can ride them either direction for €6, or you can take the Gondola for the same price. 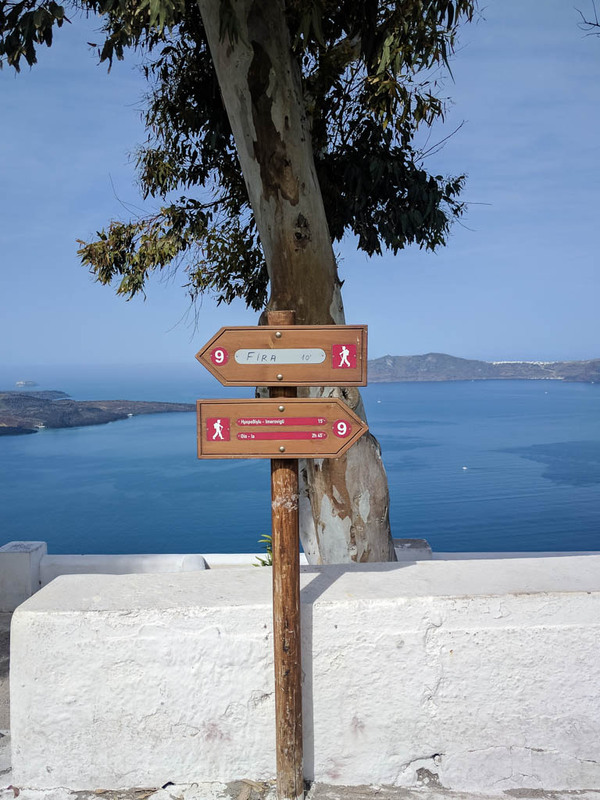 Walk from Fira to Oia: There is a coastal path that allows you to walk between Fira and Oia. The views are stunning. From Fira you can walk to Imerovigli and take a bus the rest of the way to Oia, or you can continue on walking from there. But remember that Imerovigli is your last chance to catch a bus! The walk can take between 3.5-5 hours depending on your level of fitness, so bring water and snacks. Santorini Dave has a great guide for this walk here. 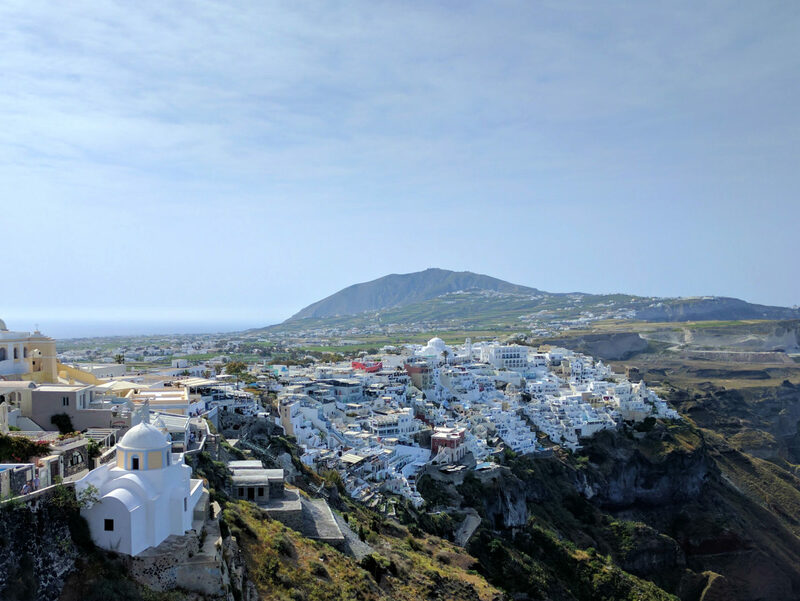 The Blue Domes of Oia: Ah, the Santorini you always see in the pictures. There is no doubt that the town of Oia is classy. The shops are beautiful, the restaurants are amazing, and the views are like no other. Get your photo op in front of the famous Blue Domes. 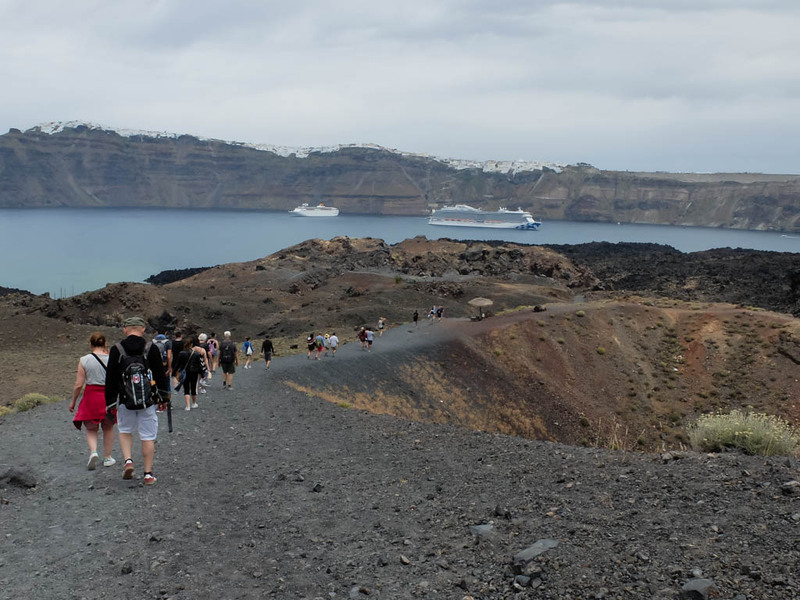 Hike the Volcano: There’s a nice little island just off the coast of Fira. It looks small and harmless, but it’s actually an active volcano! There are tours departing from the Old Port that allow you to visit the volcano and hike to the top. It’s worth it! Click here to read about my visit. Watch the Sunset: You’ll be able to see the sunset almost anywhere, but towns on the west side are well known for their views. Grab a spot at a restaurant, or on a nice bench, in Oia, Fira, Firostefani, or Imerovigli and enjoy the show. At the beach! 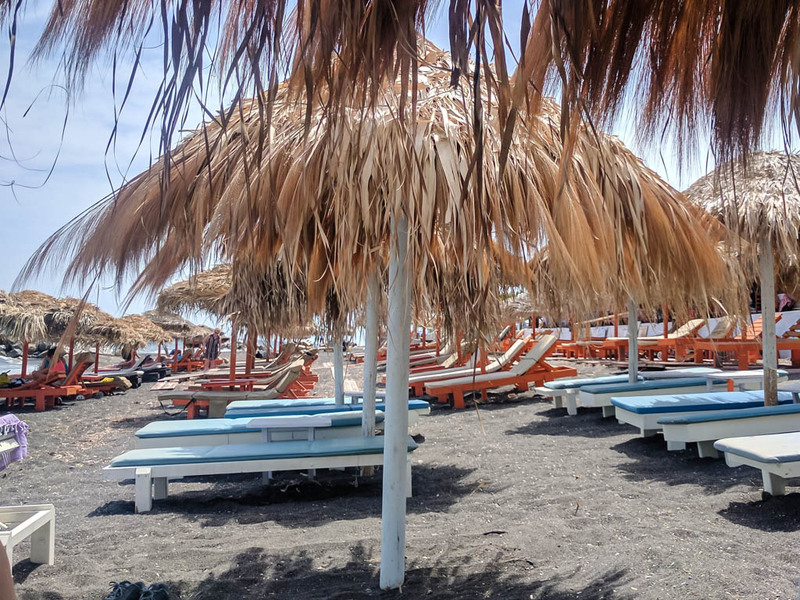 There are black, white, and red sand beaches on Santorini. There are buses that go to all three — the red and white are on the South West side, and the black is on the South East side in Perissa. Do keep in mind that most of the beaches have pebbles in the sand, so make sure to bring some flip flops to wander around in. 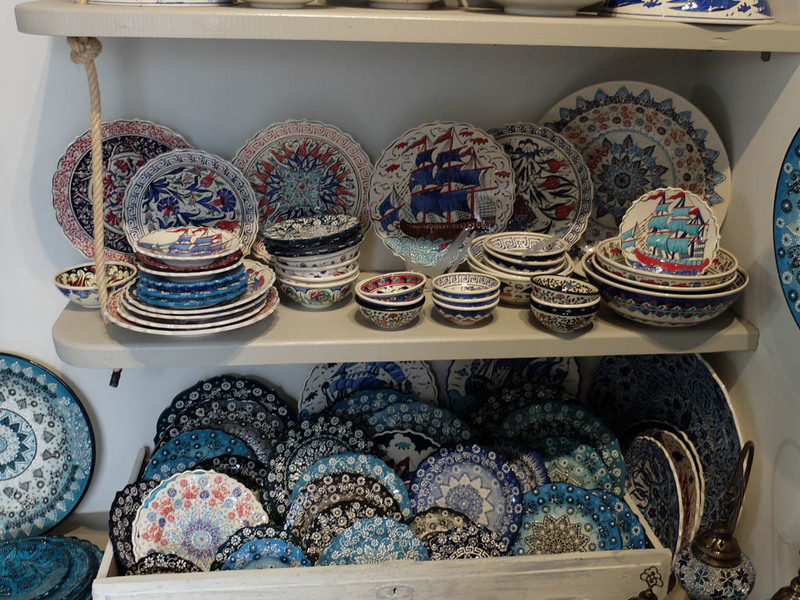 Handmade pottery is all over the island. Pick some up to take home as a reminder of your trip! What was your favourite part about Santorini?